I got to know about "Nuchinunde", a traditional Karnataka breakfast snack from Kudpi Raj maam. He is the author/owner of Kudpiraj's Garam Tawa where he has put down his culinary experiences and posted tried and tested, veg as well as non-veg recipes picked up from traditional to international cuisine. 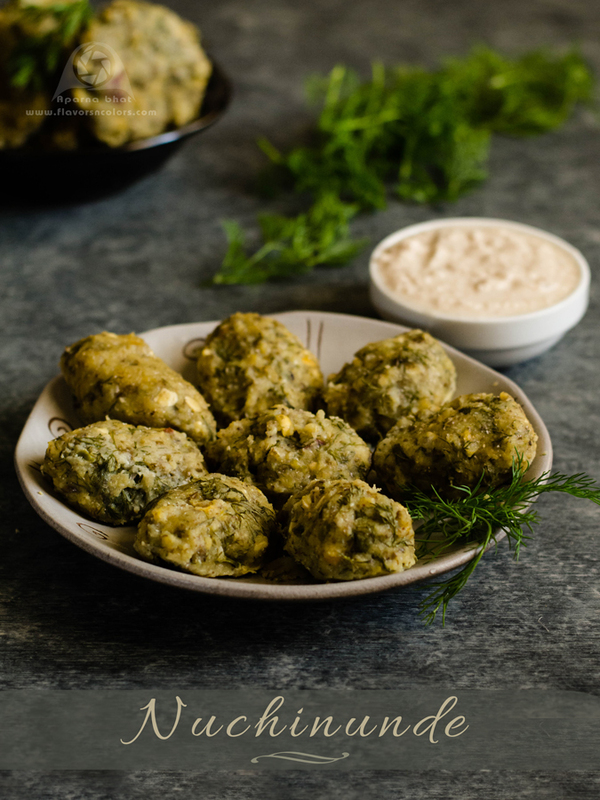 More than the rock solid recipes, I like the simplicity in his writing and the amusing anecdotes associated with these recipes which gives the reader a glimpse into respective culture and the history that goes with it [whenever possible]. Wash all the dals nicely in water and soak them for 2-3 hours. Drain all the water after the soaking time is done. In a mixer, grind the dals coarsely with green chilies,ginger, coconut without adding any water. Put the ground mixture [which should be thick in consistency] into a big bowl. 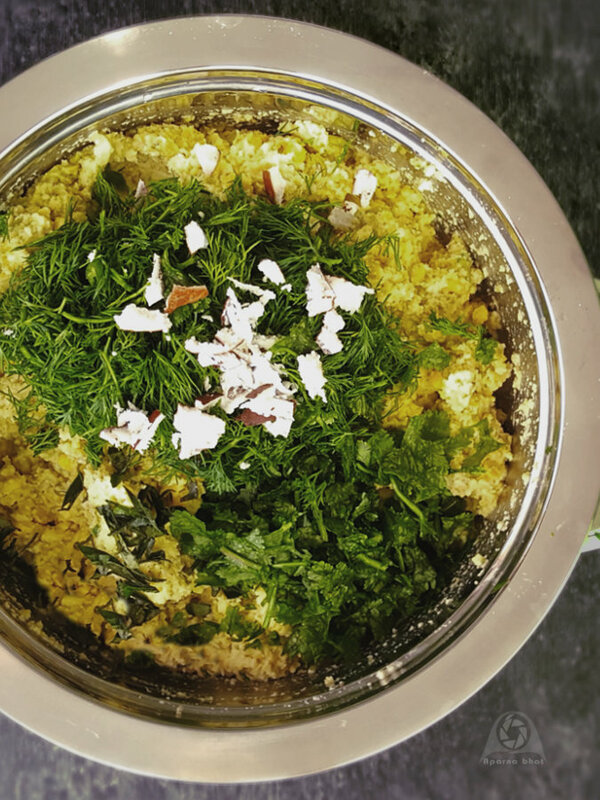 Now add turmeric powder, chopped dill leaves, chopped coriander leaves, chopped curry leaves, coconut bits [optional] and salt as per the taste. Mix it well. 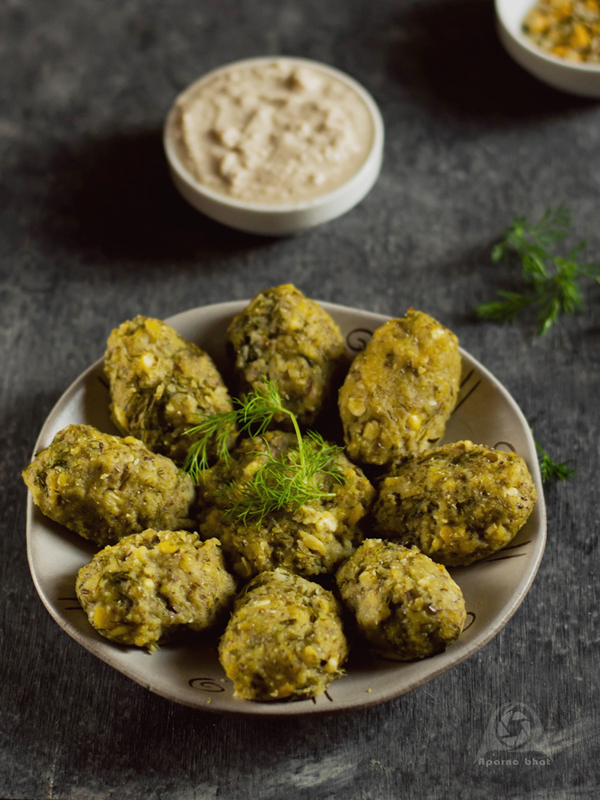 Divide the mixture into equal portion and roll each portion into oval shaped dumplings. [You can also make them small sized balls and shape them as idli]. 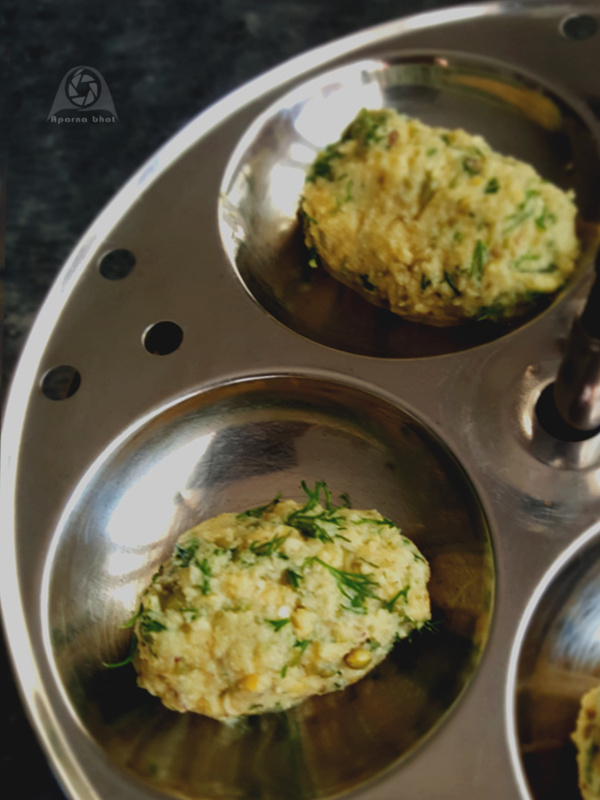 Place them in greased idli plate or cooker pan and steam them for 10-12 minutes. Switch off the flame and let it rest for 5 minutes before you remove them and place on serving plate. .
Drizzle some melted ghee and serve hot with chutney of your choice. Blend coconut, chana dal, green chili, ginger, water and salt into a smooth paste. Beat the yogurt to make it smooth. Add the blended mixture to yogurt. Make the seasoning with "to season" ingredients and add it to the mixture. Enjoy the warm delicious dumplings with majjige huli.